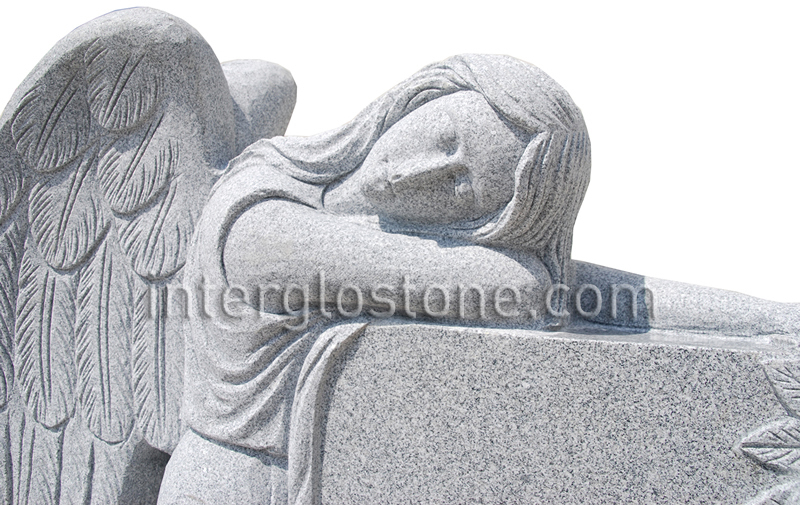 42" x 10" x 36"
A single hand-carved angel kneeling beside a flat top headstones. 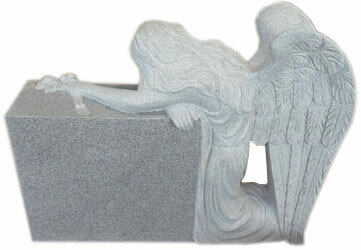 With one arm draped across the top of headstone. 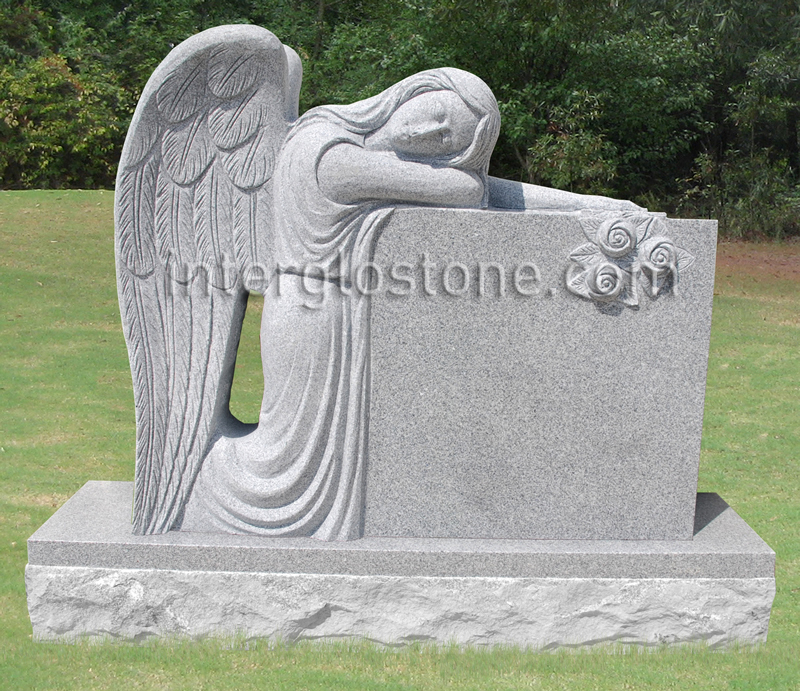 With hand carved flowers on the front of the headstone.. Made from one solid piece of granite, the headstone is all polished except for the carved areas.